The Welcome Center for the Noble County ALL-IN Block Part opens at 9 a.m. tomorrow (Saturday), and the opening ceremony is from 9:30-10 a.m. After that all the Community Partner Booths open, including the 15 (or maybe 16!) authors at the Noble County libraries location, on the southwest corner of the courthouse square in Albion. The entertainment goes on until 3 p.m.
Emily and I tend to be night owls, so be there early to help us stay awake! 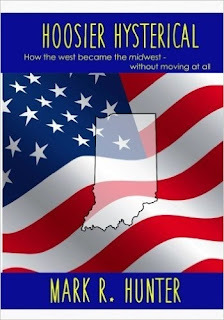 In addition to our newest book, Hoosier Hysterical, we’ll have copies of all seven of our print books available. Only my e-book story collection, Storm Chaser Shorts, is not available in print. 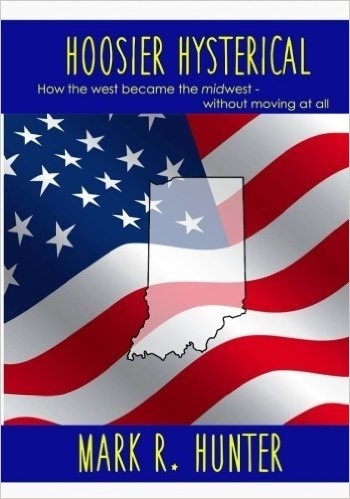 Hoosier Hysterical is priced at only $10, even with all the photos … and don’t be surprised if we have some deals going for those who want multiple books.